If you are a frequent reader of this blog, then you know: I’m a big fan of Processor Expert components. While there are many Processor Expert components delivered with CodeWarrior, it lacks many components and device drivers beside of the normal on-chip peripherals. But value gets added to an embedded project with all the external devices, sensors and actuators. That’s why I have created many more components which are available on my GitHub site. Readers of this blog have asked several times to create a tutorial on how to create a Processor Expert component. So why not working on that on a long Easter weekend full of cold rain and snow? 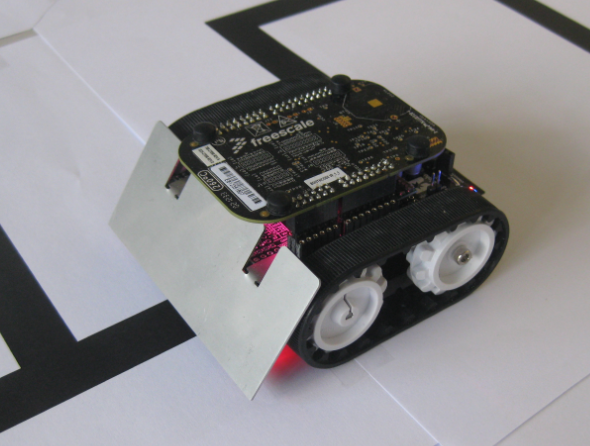 It combines Arduino compatibility with the power of an ARM Cortex M0. Given the low-cost and versatility of that board, that would make that board an ideal base for many projects. Many times I have Processor Expert components carefully configured in one project, and then I want to have the same thing in another project. There is actually an easy way to carry out this: to copy components from one project to another. Using a version control system for software development is a standard procedure today. While things are pretty clear for ‘standard’ Eclipse projects, it is not that easy for Processor Expert projects. I’m using Processor Expert projects with Git and SVN (Subversion). 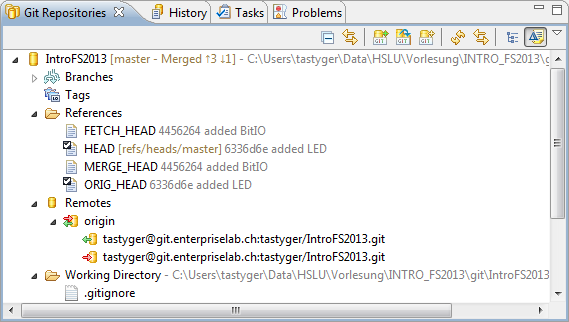 I want to share here tips how to use Processor Expert projects with a version control system. Screenshots and vocabulary are for TortoiseGit and Git, but applicable to any other VCS (Version Control System). The FRDM-KL25Z Open Source Logic Analyzer based on SUMP presented here was already very useful with the added trigger support. But it was not capable to do a sampling rate above a few hundred kHz. That’s ok for slower probing, but not for anything with a higher speed. Using DMA (Direct Memory Access) instead of timer based sampling can remove that limitation :-). 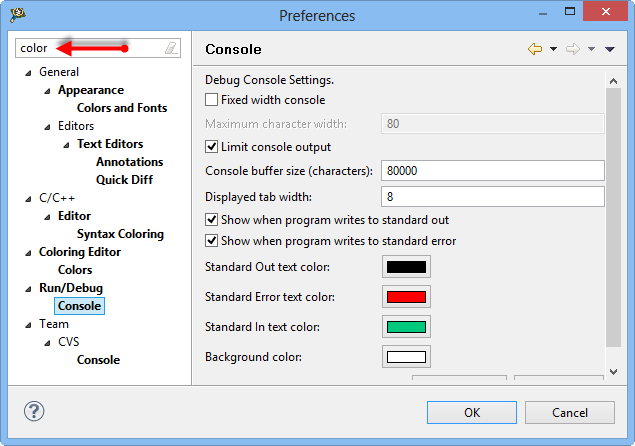 This creates a gcc C++ project with all the needed settings. This worked fine until I added a *.c file to my project which had code in it which was not accepted by the C++ compiler. Wait! Should the *.c not be compiled in C mode, as I was used to with other compilers? 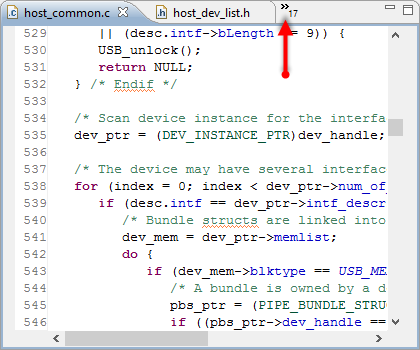 It turned out that things are different with gcc (or g++) :-(: the *.c files in my project are compiled in C++ mode. So the question is: how to compile in C mode with the ARM g++ compiler? 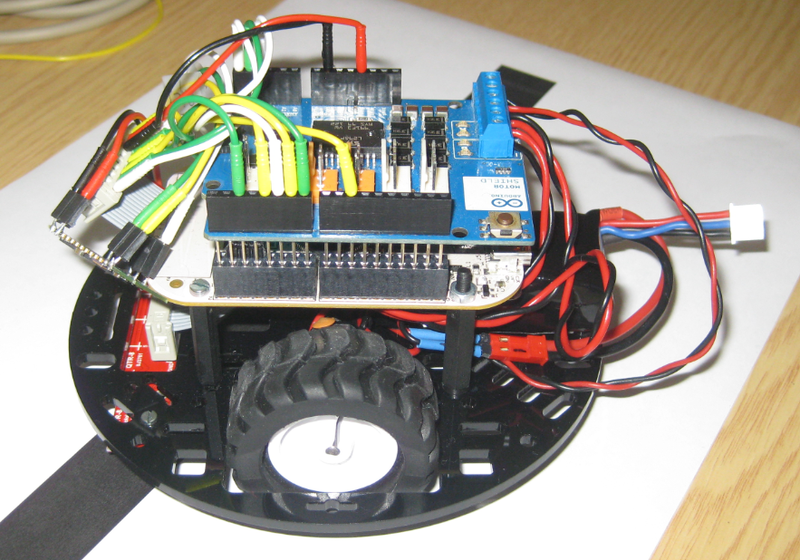 Finally I have found some time over the past week-end to enhance my Zumo robot. 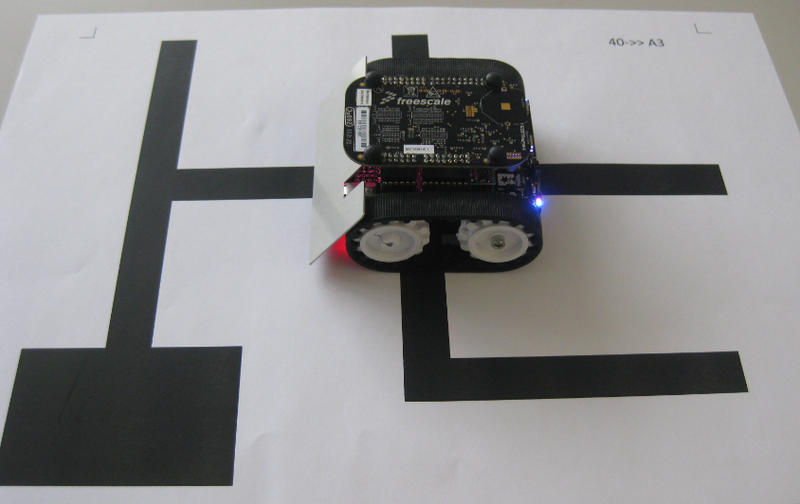 After I had my line following robot based on the Pololu Zumo chassis and the FRDM-KL25Z, I thought it should be easy and logical to solve a maze. Logical: yes. Easy: not that much. In fact it took me longer than expected. As always, there are a lot of tiny and important problems to solve (the maze alone was easy 🙂 ). For many of my applications I’m using a PWM (Pulse Width Modulated) signal. One example is the motor driver used in this project where I use one PWM signal for each motor. Another usage of PWM is to control the brightness of an LED. Processor Expert makes usage of the PWM hardware easier. Still, for some settings it is good to have the resulting signals in mind. So in this post I’m showing how the settings impact the PWM signal generated. 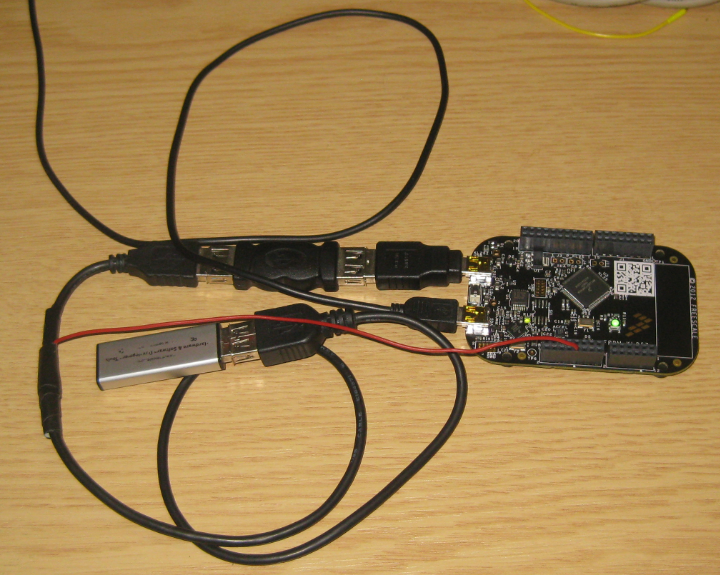 I knew about mbed already for some time: watching students using it for an NXP enabled board. Pretty cool stuff: mbed is an online IDE and compiler with tons of software libraries for the supported platform. So I was dreaming to have something like this for my own boards like the Freedom board. But because mbed only supported two dedicated NXP boards, that was a road block. But then mbed announced recently that the mbed SDK is open source. Wow, that is interesting! 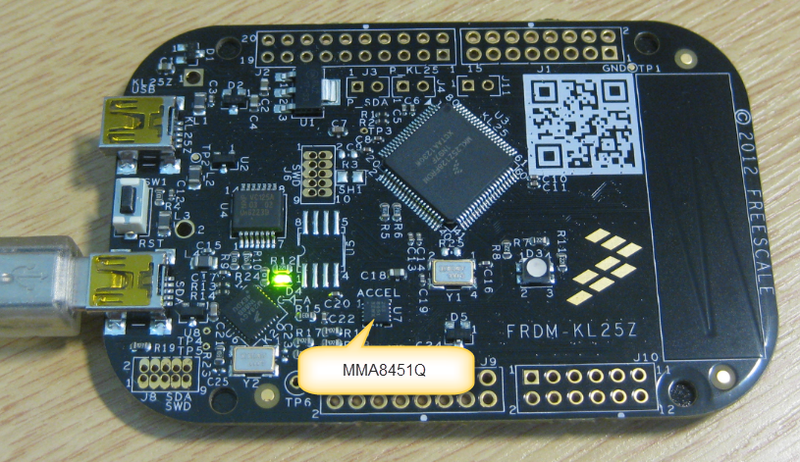 And finally the announcement last week: mbed supports the KL25Z Freedom Board. Now they have my attention :-). Maybe this article gets the attention of a local optometrist or eye shop: I have a business opportunity for you! ;-). “C:/Freescale/CW MCU v10.3\eclipse\../Cross_Tools/arm-none-eabi-gcc-4_7_3/bin/arm-none-eabi-objcopy”  -O srec Freedom_Zumo.elf "Freedom_Zumo.hex"
With that many source files open, I need an effective way to switch between the files. 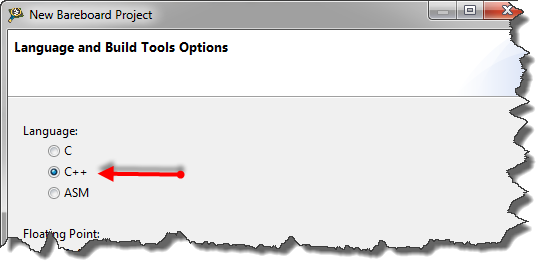 Eclipse is a good IDE. At a first glance, it does the job. Good enough. At least for myself, I was not that much excited when I used it the first time. I came from the Microsoft Visual Studio world, and have used many other proprietary IDE’s. So Eclipse was just ‘yet another one’. But what Eclipse makes really great is the incredible wealth of functionality which is not visible right away. Yes, this is the same for any other software tool: it takes time to explore, and once you know things well, you do not want to switch or even consider something different. Same for me. I do not remember his exact words, as I was surprised as well. I did not do anything special? Kinda standard Eclipse thing. Well, maybe not. 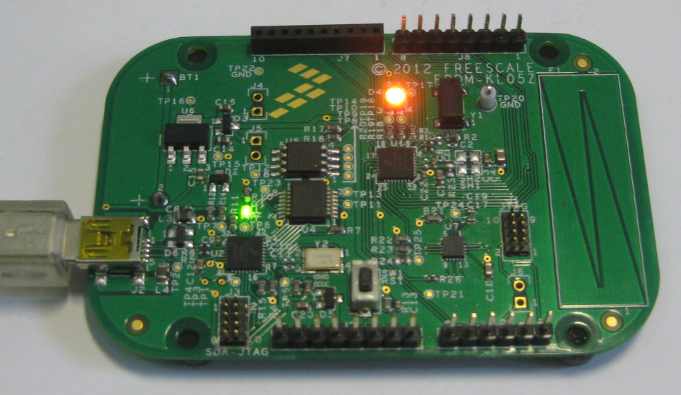 Because my first line following robot was this week at the Embedded World conference in Nürnberg, I have constructed another one around the Freedom FRDM-KL25Z board. 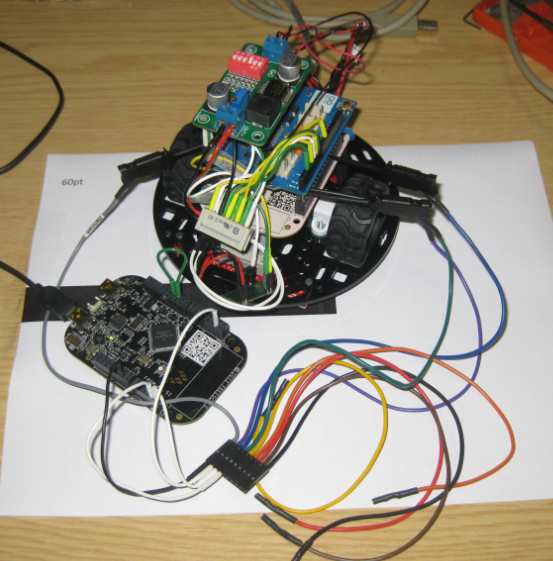 It is based on Pololu part items and the Arduino motor shield, plus using a Bluetooth module I have used in an ealier post. Sometimes I’m looking for a functionality, and I cannot find it. But this does not mean that it does not exist ;-).